Israeli Miky Tamir has founded half a dozen companies. For his latest start-up Track160, he is allied with the Deutsche Fußball Liga. The start-up company Track160, in which the DFL Deutsche Fußball Liga holds an equity interest as part of its “DFL for Equity” investment strategy, has won another international award. Track160 won the Leaders Innovation Lab 2018 Award, one of the industry's prominent innovation competitions held in London. The German Football League (DFL) wants to participate in start-ups and medium-sized companies from the media, technology and sports and has set up its own investment program. The German Football League (DFL), the organising body for top two tiers of soccer in Germany, has launched a new business arm to invest in technology startups and small and medium-sized enterprises. DFL opens up a completely new business field. The first partner comes from Israel and has very special skills. DFL Deutsche Fussball Liga enhances portfolio, starting with Track160, Israeli startup. The German Football League (DFL) does not want to settle for the organization of German professional football. On Thursday 11/10, a strategic partnership was signed between the Israeli start-up Track160 and the DFL Deutsche Fussball Liga. Today, a strategic partnership was signed between the Israeli start-up Track160 and the DFL Deutsche Fussball Liga which is responsible for the organization and marketing of the Bundesliga worldwide. The partnership has a significant value for Track160 in new acquired abilities and a boost in reputation and global network. The victory cup was awarded to Dr. Miky Tamir, Track160’s cofounder, during the SpielMacher Conference in Hamburg earlier this month. Children's sport aims to become an industry similar to that of professional leagues, but how is talent detected at such an early age? The answer is technology. 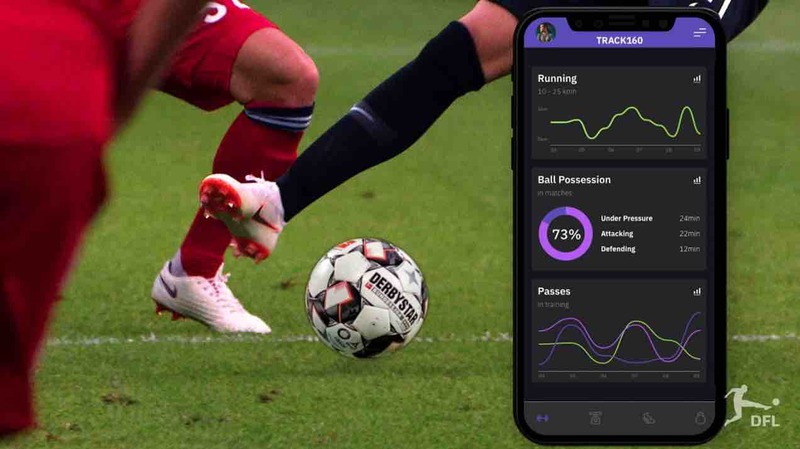 Track160, a young Israeli startup company developing a fully automatic football analytics service using cutting edge deep learning technology, has won the European SportsTech award, the world’s preeminent sports tech competition of the football industry. The victory cup was awarded to Dr. Miky Tamir, Track160 cofounder, during the SpielMacher conference in Hamburg on August 9th.